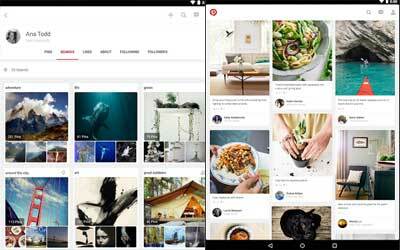 Previous version Pinterest 6.15.0 apk for Android will help you to downgrade or install older app easily. This is one of the best Social apps. The Pros is that it works pretty much the same as the original website. It makes browsing and all going smooth and it also has these intuitive features that are really helpful when you need to pin pictures and such. However, it also has cons that might be quite annoying to some users. First of all, this version does not allow the feature of changing the boards’ cover photos. It would be nice to have a pinch-to-zoom feature on pictures too. All in all though, this mobile application is almost perfect in many aspects. It has all the basic needs covered; browsing and pinning features, and it is very intuitive in terms of how to use it though. Of course, some changes are to be expected since it is specifically designed to cater to the needs of Android devices. But so far, this application is the best for Android platform. For users who wish to stay updated with pins and pictures from Pinterest while they are away from their laptop, consider installing this on your Android mobile! So many cool things, places and ideas that I probably would have never known about if I didn’t have this app. Pretty cool.